A relentless onslaught from gangs of cattle rustlers and poachers has placed communal and commercial farmers in the areas of Karibib and Otjimbingwe under siege. After a search that lasted the best part of two days, three male members of the Keib family along with four other men were arrested in connection with the theft of cattle from a communal farming land near Otjimbingwe on Thursday. 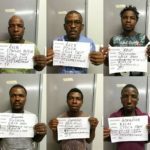 Pinias Keib, Sylvester Keib, Stanley Alfeus Keib, Ricky Goagoseb, Sylvester Gaoseb, Reinhold Uirab and a seventh person who owns the vehicle, with which the cattle rustlers intended to transport their ill gotten gains, were arrested on Thursday. 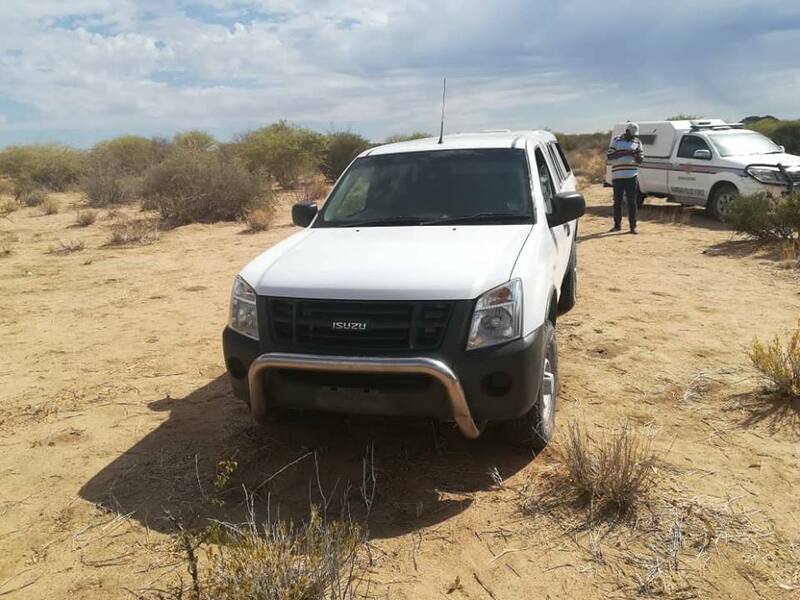 The Isuzu Bakkie they used, an axe and a .22 rifle with a telescope mounted on it were confiscated by members of the police. The rifle is registered in the name of one Frans Mokwaipe. 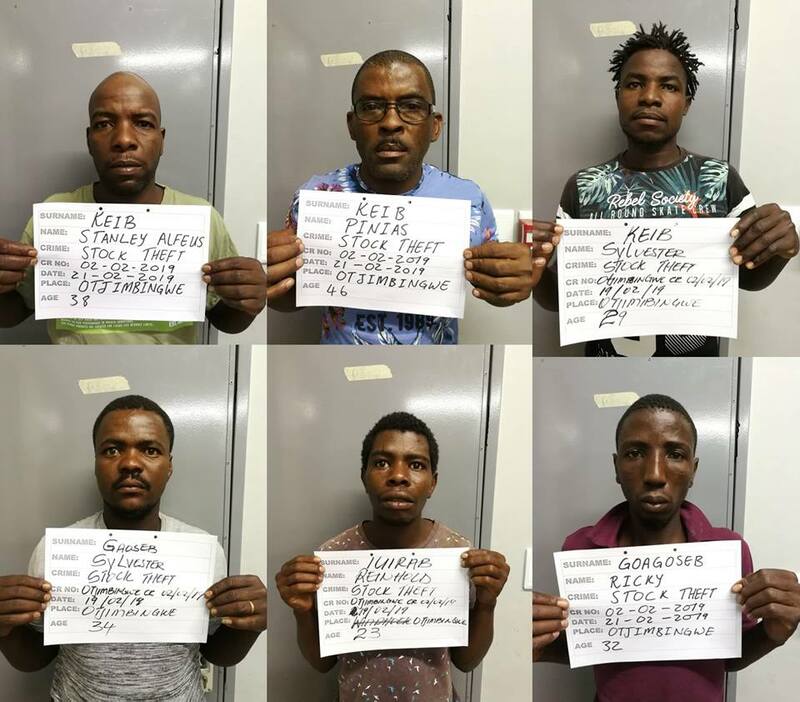 The seven cattle thieves were arrested on the same day a cattle herder on farm near Karibib found the wounded Andreas Shuudi in the veldt after he was allegedly shot by five farm security guards. In this case the Namibian Police are still looking for Andries Simweoshili and a man known only as Letti in connection with a charge if illegal hunting and trespassing on another farm near Karibib. 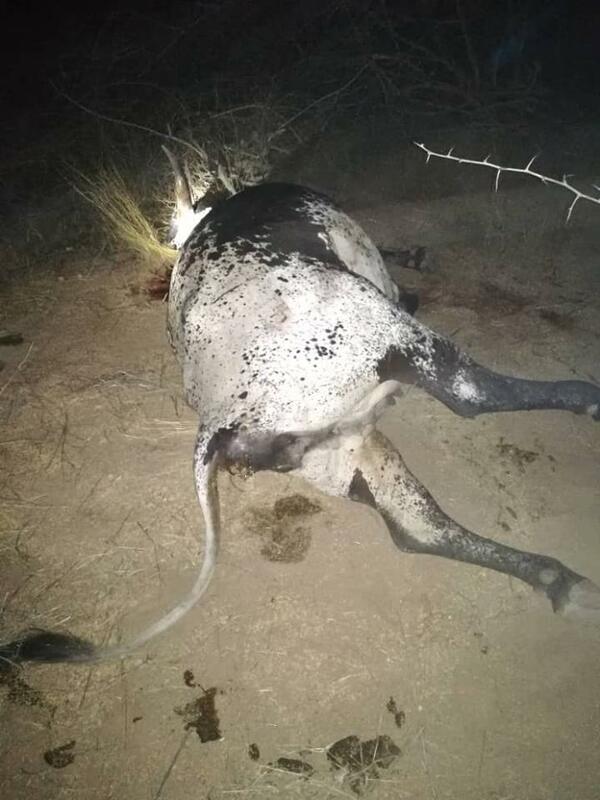 According to Detective Chief Inspector Danial Gurirab, Acting Erongo Regional Crime Investigations Coordinator, six of the cattle thieves shot and killed two heads of Nguni cattle that were grazing in a communal farming area near the Ouzema Village in the area of Otjimbingwe. He said the owner of the cattle went to investigate and found the stock thieves busy slaughtering his cattle. When the farmer approached the scene the six suspects fled on foot. 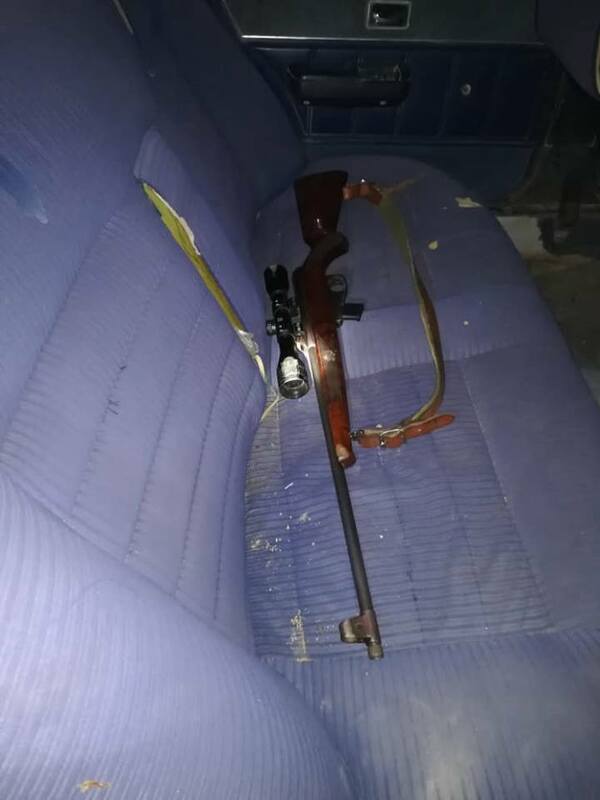 They abandoned the Isuzu bakkie with the rifle still inside.